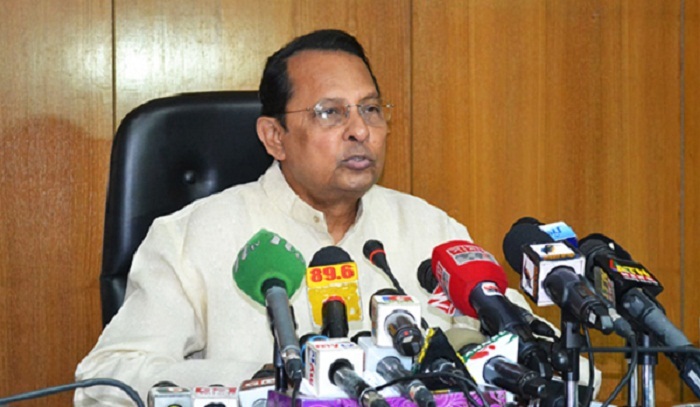 Information Minister Hasanul Haq Inu said BNP chief Khaleda Zia is trying to create a controversy about the trial of war criminals by making remarks over the figure of Liberation War martyrs. “She’s stirring up a controversy regarding the war crimes trial by raising question over the figures of war martyrs. She’s trying to win Pakistan’s heart by siding with war criminals,” he told reporters at the Secretariat. Through her remarks, the minister said, she is not only showing disrespect for the martyrs of 1971, but also proved that she is their [Pak] agent, UNB reports. He also shrugged off BNP’s plea for deploying army during the municipality elections.